In this new age of thermometers, the digital IR thermometer is made to meet all the demands kept for a good modern thermometer. It works on the principle of infrared radiations catching the heat energy and converting into readable temperature that is presented on digital format. It is placed inside the ear to get the most accurate measurement of the internal body temperature. 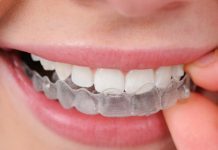 This product is good for all ages and easy to use. It measures both in oF and oC and can convert the readings very accurately in whichever settings that you like. This makes the product not only top notch but also competitive in the market. Although the accuracy and exactness of the results are questionable by some users as they claim the product to show readings that are either too high or too low than their normal body temperatures and it needs to be adjusted repeatedly to give trustworthy results. The gadget provides the outcome within 2 seconds making it one of the easiest and the fastest product in the market. Better than the oral and rectal thermometers that take up to 2 minutes for correct results and that can be both discomforting as well as dangerous, this one is not only a safe but also a fast device and hence it has replaced most of the older thermometers. The temperature recall feature makes it easier for you to go back and check the previous reading of fever for your child or any other family member. This is a very useful feature as through this you can easily see if there is any progression happening and if the medication is working. The device can store up to 10 previous temperature recordings. The thermometer is equipped with an alarm which will send of a beep if it senses that the fever has gone very high and this will help you to understand to see a doctor as soon as possible. The product comes with a 6 month replacement guarantee so that if you find any damage on the product from the time you opened the packaging or due to any accident the product stopped working you can always easily return it back within 6 months to the manufacturer’s and a new and improved thermometer will be delivered to you absolutely free of cost. The product is made up to low quality plastic in order to reduce the cost of production which in return reduces the cost of the product and sells it on lower price in the market. The probe does not has any cover so you will not have to buy new cover and lens filters you can just wipe the probe clean and its ready to be used next time. The display screen is present on the back. It doesn’t have any flashlight or any audio guide to help you signal out when the position of the probe is right. This feature helps to conserve battery when it detects that the product is not in usage for up to a minute. This helps in increasing the life of the battery as well as the thermometer. This can be a great feature considering that after using the thermometer one can easily forget to switch it off which can use up the battery. The product is approved by the FDA means that you are getting a state of art ear thermometer that has all the necessary features that are needed in a good ear thermometer along with the recommendation and approval of the FDA. 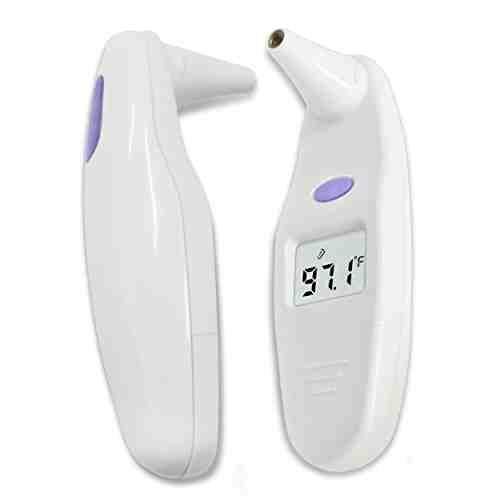 If you are looking for an ear thermometer that is FDA approved and gives fast results along with costing less then this is the right product for you. However the fact that it is not accurate it can not only produce disparity but also cause users to return the product who do not want to spend their money on a thermometer that cannot provide reliable results. This is one of the cheapest products in the market but its inaccuracy causes it to be sold less and being returned to the manufacturers. The makers should work on that since who ever goes out to buy a thermometer principally wants one single feature on their product and that is accuracy and if that isn’t promised then there are various other options to look at.